The Krishnamacharya Yoga Mandiram was founded in 1976 in India, by T.K.V. 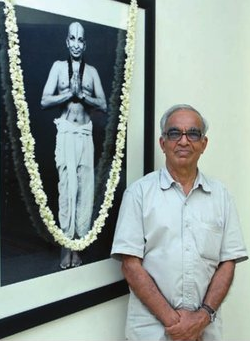 Desikachar to promote and continue the work of Sri Krishnamacharya, his father and mentor. 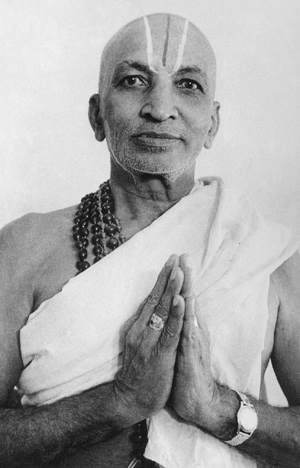 Krishnamacharya was the teacher and inspiration to many of the well-known yoga teachers in India and the West, including Pattabhi Jois, Indra Devi and B.K.S. Iyengar. He arguably re-established this invaluable ancient philosophy and practice in India and abroad. Krishnamacharya pioneered the idea that yoga is for all, irrespective of gender, caste, age or ability, and this approach continues in the charitable outreach work now carried out by KYM. Senior practitioners and trainers in the tradition in the UK formed an autonomous organisation, The Society of Yoga Practitioners (TSYP), to continue this work. TSYP runs training courses and workshops and is currently one of only a handful which can award Yoga Therapist status according to the standards of the British Council for Yoga Therapy and the Complementary and Natural Healthcare Council.